Video Wall Rental - Engage your audience with a custom LED video wall. If you’re looking for maximum visual impact, Soundhouse provides the best and brightest. We are proud to offer the highest resolution indoor video wall on the rental market, with a pixel pitch of 1.9 and resolution of 256 x 256 per panel. 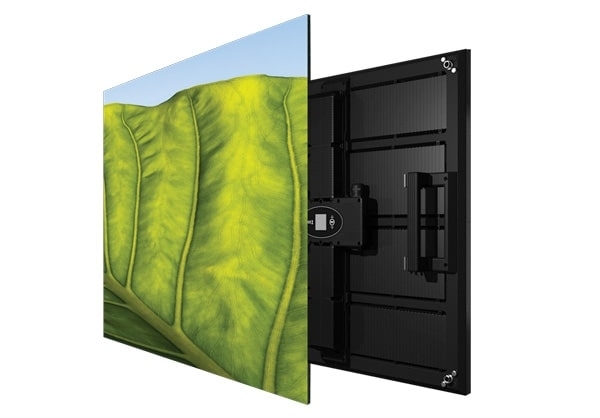 Built from carbon fiber, our LED video wall panels are also some of the lightest available, adding flexibility in deployment and reducing labor costs. Video walls offer big impact with a minimal footprint, and their modular design allows you to build a display of any size or proportion- from small digital signage applications to large digital backdrops customized to your scenic design or specific video content. They can go places that projectors are not practical - rooms with bright ambient light, limited options for projector rigging, or where obstructions would make projection difficult or impossible. We have all the components you need to design an impressive video display, and offer technical services on-site to execute your project successfully.